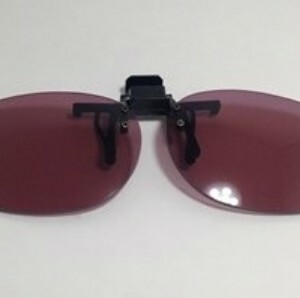 Clip-On Flip-Ups are designed to clip onto existing glasses. Polycarbonate lenses are lightweight and scratch-resistant that filter sodium flare and UV similar to glass Didymium or ACE lenses. 1020S series: 134mm width x 45mm length. 16g weight.